Are plastic bags worse than paper bags? Though commonly debated, many are surprised to find out that compared to paper, plastic grocery bags can be a resource-efficient choice. Plastic grocery bags require 70 percent less energy to manufacture than paper bags. And produce half the amount of greenhouse gas emissions in the process, according to the Plastics Industry. Though efficient to produce, it is crucial that plastic bags be reused and recycled. Plastic bags don’t biodegrade quickly and can cause problems for wildlife when disposed of improperly. 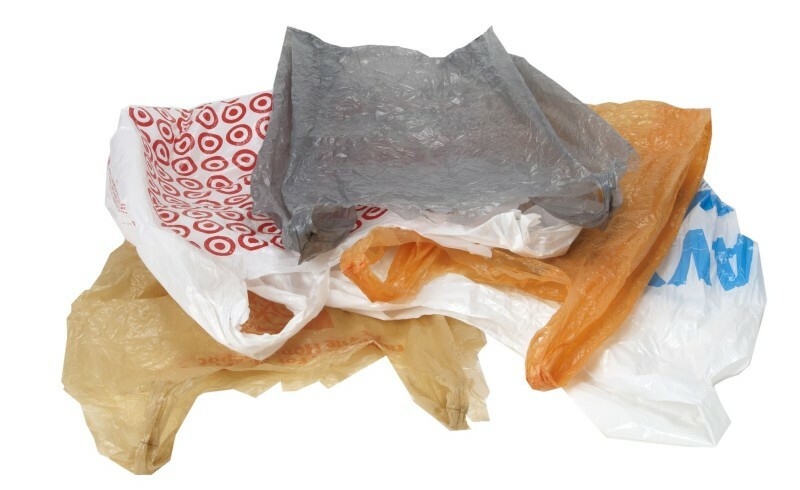 Most grocers and large retailers such as Target and Walmart now accept plastic bags, wrap and film for recycling. Look for a bin near the front of the store or check for local recycling options nearest you. Are plastic bags made from oil? About 85 percent of plastic bags used in the United States are American-made and come from natural gas, not foreign oil, according to PlasticBagFacts.org. According to the Plastics Industry, less than .05% of a barrel of oil goes into making all of the plastic bags used in the US.